When Should an Attorney Hire a CART Provider? If you have ever worked with a client or witness who is deaf or hard of hearing, you both may have struggled with communication. One of the many methods of assisting with communication for people who are deaf or hard of hearing utilizes the same process, equipment, and software that court reporters use. That is called Communication Access Realtime Translation (CART). If your client is deaf or hard of hearing and they are being deposed, a CART provider could help facilitate communication for your client. Keep in mind that CART is a one-way communication service, so if your client uses American Sign Language to communicate, CART may not be the best option. If your client is deaf or hard of hearing and their case is going to trial, utilizing a CART provider during the trial could be very beneficial for your client. This service would ensure they are provided the same access as hearing individuals to all that is said during the proceedings. If you have a witness who is deaf or hard of hearing who will be testifying in court, you should bring this to the attention of the judge or other judicial personnel so that appropriate accommodations can be made to have a CART provider there for the witness. If you, yourself, are deaf or hard of hearing, consider requesting a CART provider to assist you in court. The role of the CART provider is to assist with communication whereas the official reporter’s role is to provide a verbatim record of the proceedings. The official court reporter should not also provide CART services in the same proceedings unless there are extenuating circumstances and there is no other option available. In a legal setting, a CART provider is not to provide a transcript or electronic file of any kind. The court reporter’s transcript is the official record. A CART provider may include environmental sounds (like sirens wailing, books slamming, etc.) so the consumer gets a sense of what’s being heard by others around them, where the official court reporter will only write the spoken word. 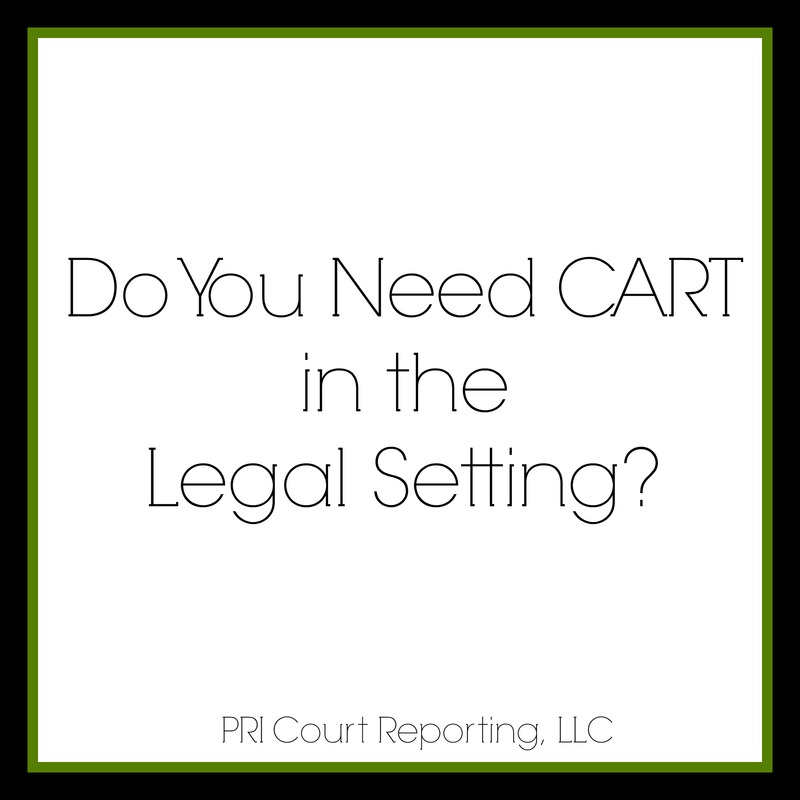 Like court reporting, there are also certifications for CART providers by the National Court Reporters Association. 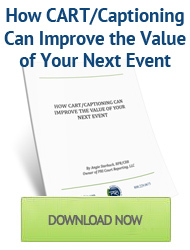 Look for a CCP (Certified CART Provider) or CRR (Certified Realtime Reporter) when hiring a CART provider. 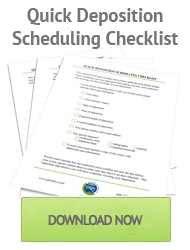 You can locate a qualified CART provider by searching the NCRA Sourcebook (http://www.ncrasourcebook.com/) or ask your favorite court reporter for a referral. Angie Starbuck, RPR/CRR, is a court reporter in Columbus, Ohio, and the owner of PRI Court Reporting, LLC. Angie is also an experienced CART and captioning provider. Connect with her on LinkedIn and Google+. By Angie Starbuck|2014-04-28T13:03:02+00:00April 28th, 2014|Attorneys, Court Reporting, Uncategorized|Comments Off on When Should an Attorney Hire a CART Provider?